It's the most wonderful time of the year or so they tell me. I am not sure about you but for my family, it seems like our schedules start to get crazy busy come the month of December and we find ourselves more stressed than ever. 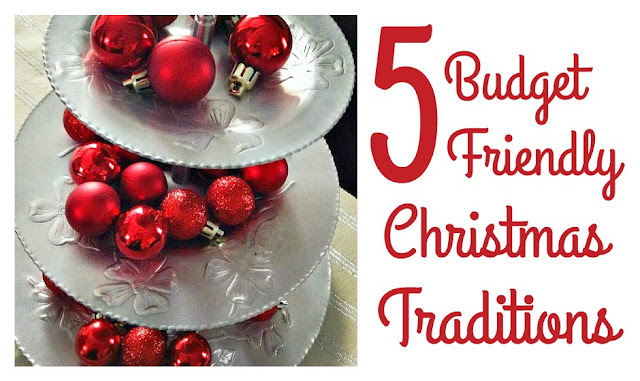 We have so many fun family Christmas traditions that we are trying to fit into every weekend. In my Christmas on a Shoestring I talked about creating or having traditions for your family to do. I am going to give you a news flash - they don't have to cost money. There are many things you can do with our family during the Christmas season that will not break the bank or cost anything at all for that matter. Make some hot cocoa at home and plan a night to go for a ride to see the Christmas lights where you live. There are some spectacular displays out there to view with your family. Make some cookies the day before and hide them away to surprise the family with them on your drive. Pop some popcorn and plan to do a family movie night and watch your favourite Christmas movie. Schools and churches are always doing Christmas concerts and they are open for everyone to attend and are often free. Supporting community events and getting in the Christmas spirit at the same time. Turn the Christmas lights on and sing Christmas carols. You don't have to be a singer to enjoy this one just have fun with your family. Better yet go caroling at friends houses and bring some joy into their day by spreading the Christmas cheer. There is nothing like a games night by the tree to help get into the Christmas spirit. Spending time with your family is a much better investment than any gift you can buy. What are some traditions you do with your family that is budget friendly?